Mr. and Mrs. Frank Garland of Buffalo celebrated their 50th wedding anniversary with a party for family and friends in their home. 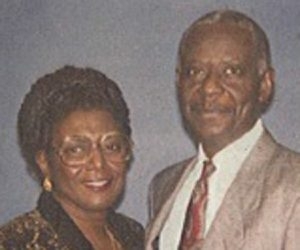 Mr. Garland and the former Vilma Passley were married Feb. 29, 1964, in St. Andrew’s Catholic Church in London, England. He is retired from American Axle and General Motors. She is a retired tool and die maker for General Motors. They have a son and three grandchildren.